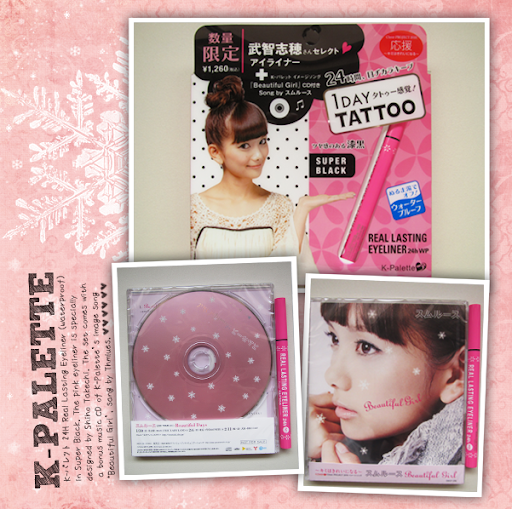 Last week, Ariel, from Japalang, surprised me with K-Palette's 24H Real Lasting Eyeliner WP (Super Black) Christmas Premium Set 2011! 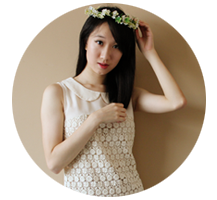 I reviewed the 24H Real Lasting Eyeliner (Super Black) during my last summer vacay (Click here to read my review!). 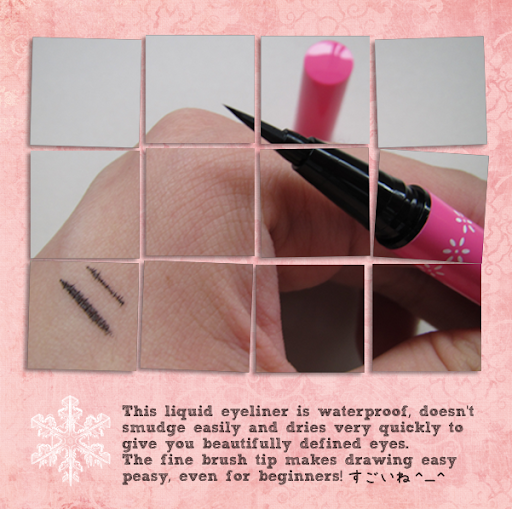 One thing which I love about this eyeliner is that it's completely waterproof! 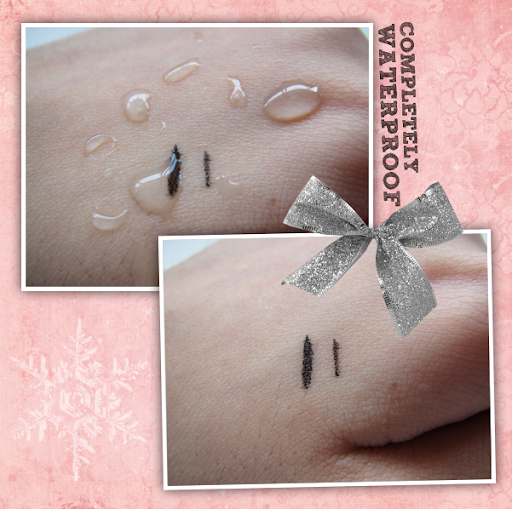 I'm not sure about you, but I always look out for waterproof products. I mean, it's raining every other day! 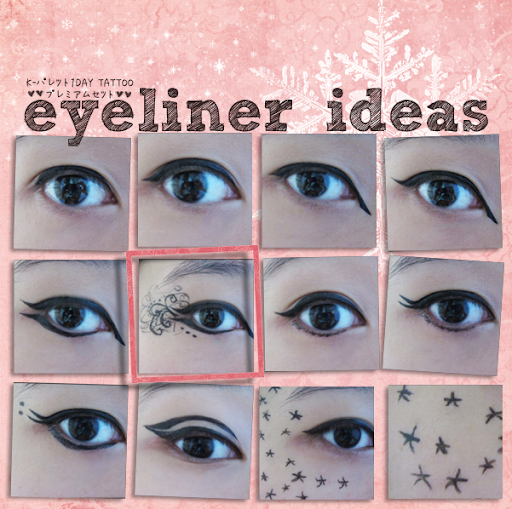 And ending off with this entry are some eyeliner ideas from yours truly! Haha! I was so excited when I did the above. Heh. There's the classic cat eye liner, the double-winged liner, the drawing of lower lashes, the Twiggy liner and last but not least, Kat Von D's stars!! !